This boat has had the wand moved to in front of the bow and the teleflex cable has been replaced with a rigid push rod. The objective is to replace the wave sensing wand on RS600FF with a reliable electronic system that can independently manage the orientation of flaps. We began with a mechanical product that exists and work towards a new product design. At the 2009 RYA Volvo Dinghy Show, Ovington Boats revealed a new concept dinghy using the foil system by Tomahawk Foils. 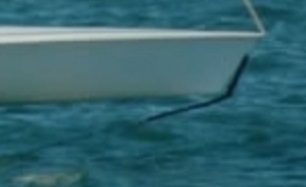 The boat incorporates the surface running, ventilated hydrofoil invented and patented by Tomahawk Foils. 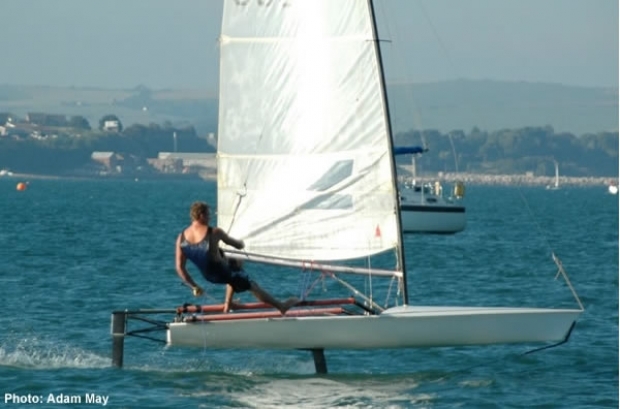 The Phil Morrison designed boat brings foiling to a wider audience, fully exploiting the forgiving characteristics of the new concept and enabling most dinghy sailors to foil after minimal practice. It also enables sailors with a wider range of weight to get airborne as opposed to the traditional lightweights that sail the International Moth. Unfortunately this great boat didn't go into production and it last rumoured whereabouts is somewhere in Romania.